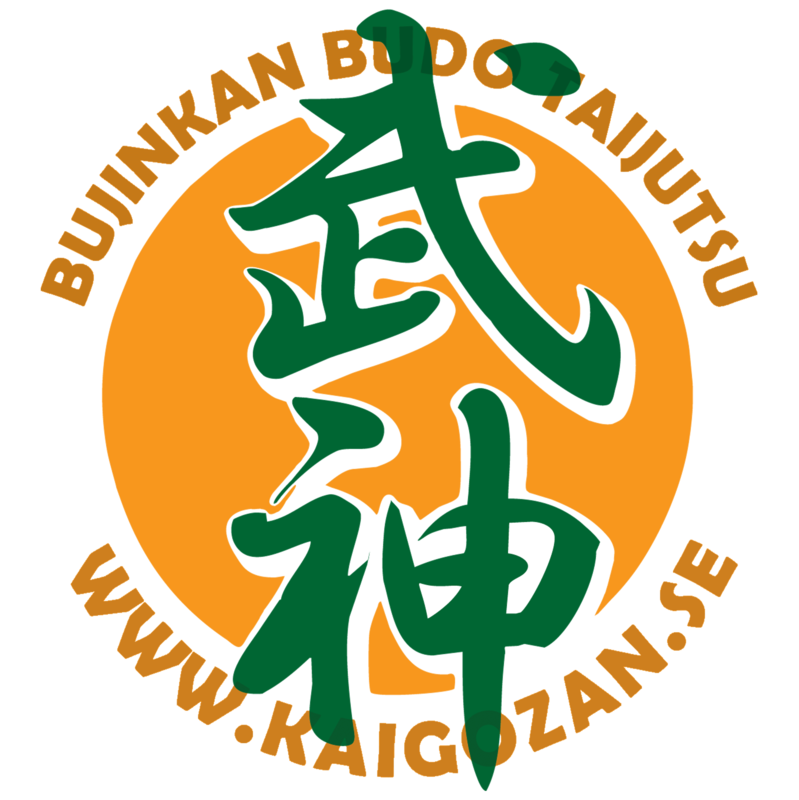 Hello and welcome to Bujinkan Kaigozan Dojo, we are a small training group in Stockholm that is quite international. Meaning that we often have students from other countries that train with us, so we often teach classes in English (we speak English fluently). So this page is for you that don’t understand Swedish so well and want to know some practical things, so here it is with some small lessons in Swedish. First we assume you know a little about Bujinkan Budo Taijutsu, if not Wikipedia is a good start. 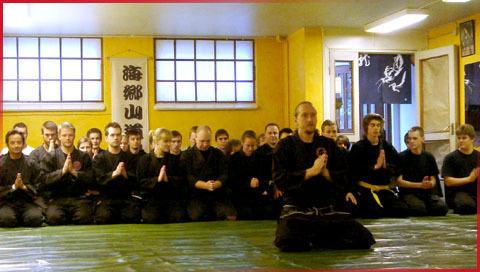 There is only one Kaigozan Dojo in the world, and we are located in Sundbyberg/Solna only 7-13 min ride by train or metro from Stockholm C, plus 5-10 minutes walk from the station. The address is Albygatan 117 but importantly is to know that our door is on the other side of the house around the corner (see the map! ), people who don’t understands this often get lost! Training is usually Tuesdays and Thursdays from 19:00, see the schedule to the right. Simple Swedish lesson Tis/Tisdag (Tuesday), Tor/Torsdag (Thursday), Inställd (cancelled), kl (time). 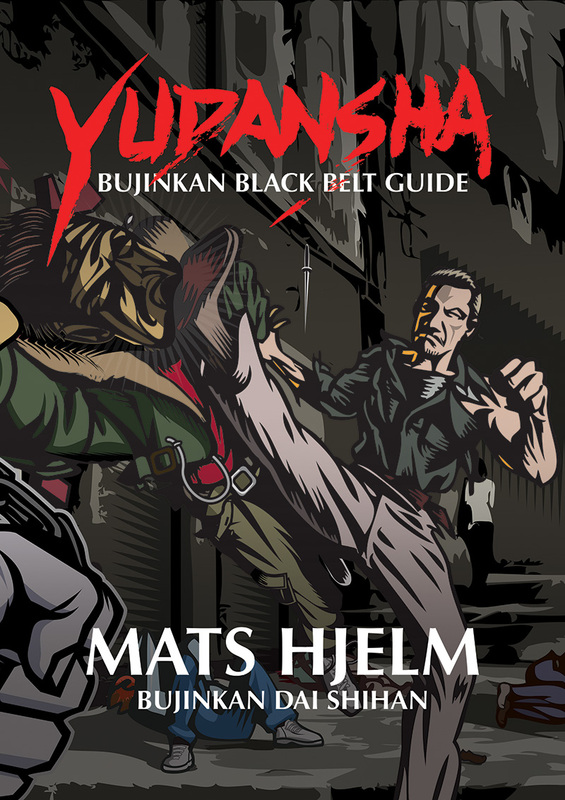 The main main instructor is Mats Hjelm and he teaches most of the classes, we have many other black belts that can take the trainings, we always make sure someone take the training. Training fees is only Swedish money, preferably to our account PG 322109-0. You don’t need to contact us, if you say you are coming and you’re not showing up we must cancel the class and go look for you. No seriously… just bring your training clothes and come by and surprise us! We are usually at the dojo 15-20 minutes before training. The first trainings is free and you can ask us about other details before or after training.